You will LOVE these easy super-long wraps! Every woman that tries one on in my shop says, "Oooohhhhhh!!" ...and adds one (or more) to her wardrobe. As long as a wrap scarf, but perfectly fitted with a seam, this is NOT a scarf. This wrap stays securely on your head as you create your favorite style. As long as a wrap scarf, but perfectly fitted with a seam. It is secure on your head as you wrap. No slipping! They are soft and comfy for chemo hair loss or alopecia and long enough to cover even long, thick hair, dreads or extensions. EASY instructions are included with your order. 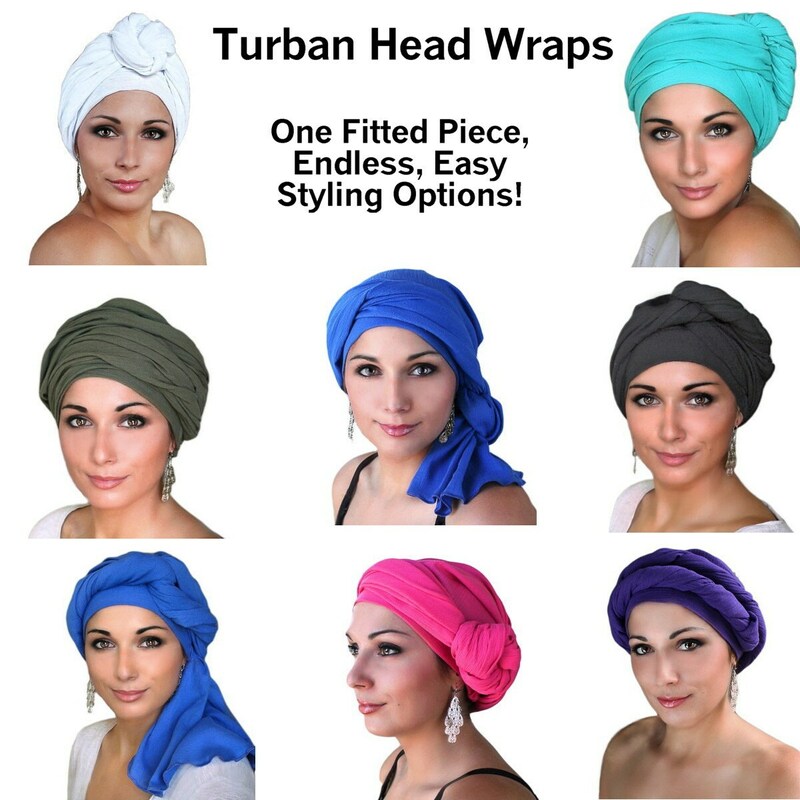 If you ever have been frustrated trying to wrap a head scarf, these are the head wraps for you. This design completely covers your head and provides fullness, comfort and endless styling options. With this wrap there's no "flat head" look, and it won't slip off. 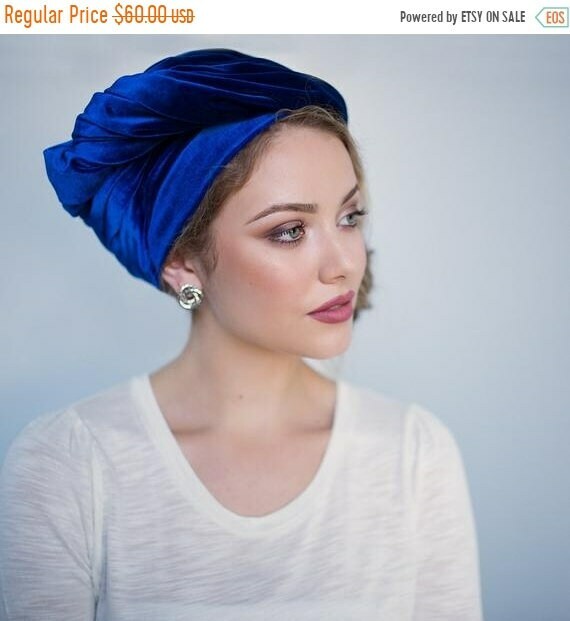 Wraps around your head at least twice make a gorgeous classic turban. Spread or twist the layers for your favorite look. Layer them with your own scarves or fabric pieces. Twist and tuck the end for an elegant knot. Scrunch as a neck scarf or wide head band. Whether for yourself or someone you love who is going through medical hair loss, alopecia, or thinning hair, this is a timeless accessory that will add flair to any wardrobe for years to come. ♥ One size fits 21-23 inches. If you are concerned about fit, please contact me about different sizing.